The objective of the Ontario Council of Shooters (OCS) is to promote participation in the shooting sports associated, with the aim to provide opportunity for every member to develop a skill level commensurate with individual abilities and circumstances. The role of the OSC is to encourage the opportunity for safe participation at all levels of shooting abilities. The first meeting of the Ontario Council of Shooters (OCS) was held in the office of Sports Ontario; Toronto, Ontario, November 22, 1972. 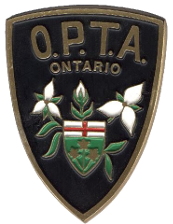 This was a new organization with a purpose to plan affiliation of shooting sports in Ontario which would then speak with a united voice to Government agencies and make applications for grants. OCS is an incorporated, not-for-profit association and is governed by an elected Board of Directors which operates within a sound business framework. It is recognized by the Shooting Federation of Canada (SFC) and the Ministry of Tourism, Culture and Sport (MTCS). The Ontario Council of Shooters is appreciative of the support received from MTCS in the promotion and development of the sport in Ontario. The Ontario Council of Shooters, Inc. acts as the sole representative for the sport of shooting in Ontario in all matters relating with national and international shooting bodies.